An American pastor imprisoned in Iran has repeatedly been robbed and threatened at knifepoint since being relocated to a new and more dangerous prison, reports state. Abedini was later charged with threatening the national security of Iran, and for attempting to turn youth in the nation away from Islam and toward Christianity. He was then sentenced to eight years in Iran’s notorious Evin Prison, where he has spent the past year. Last month, the American Center for Law and Justice (ACLJ), which has been fighting for Abedini’s freedom, reported that the pastor had been transported to a facility that poses an even greater threat to his health and life. Now, the organization has confirmed that Abedini is indeed in danger. 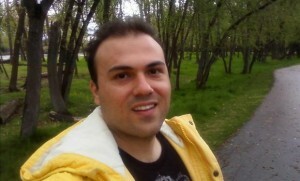 He stated that in addition to the recurring violence, Abedini’s health is also declining. Sekulow stated that Abedini is also experiencing joint pain and is believed to be suffering from a urinary tract infection. Sekulow, along with Abedini’s wife Naghmeh, have been asked to testify about the pastor’s plight this Thursday before the House Foreign Affairs Committee in Washington. D.C. The ACLJ says that it is important that Congress speak out on behalf of Abedini as his release was not secured—nor even mentioned—in the Obama administration’s recent negotiations with Iran. In the meantime, the ACLJ is asking supporters to sign a petition to Barack Obama to work harder to help secure the release of Pastor Abedini. Obama had spoken with Iranian President Hassan Rouhani about his concerns in September, but no new developments have been reported.